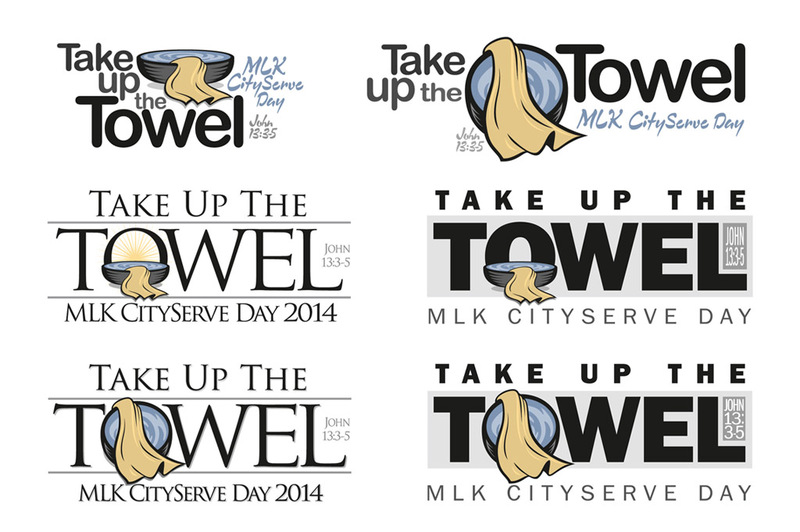 Looking back to 2014, I designed a logo for the Dallas Baptist Association for their Martin Luther King CityServe Day. The theme centered around Christ washing his disciples’ feet in John 13:3-5 so I illustrated a wash basin and cloth. 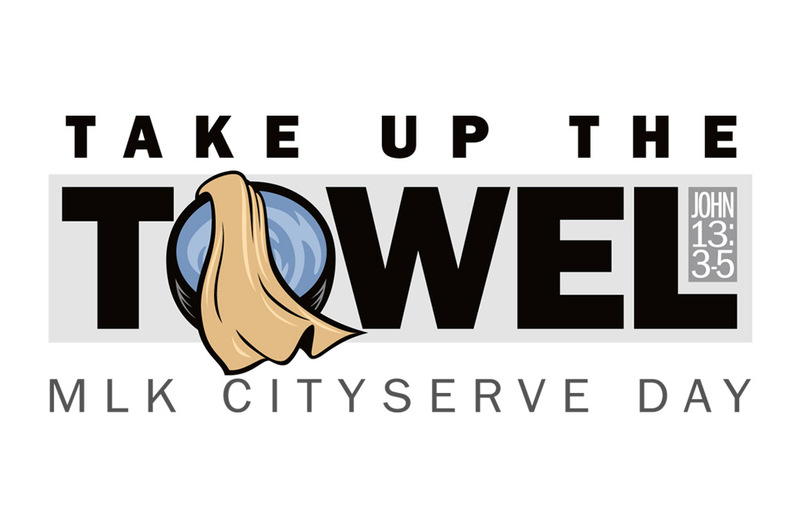 The featured image is the final design and the following photo shows the other design options.